That’s what Dominic Mills, former Campaign editor and Mediatel columnist had to say on the topic of marketing innovation at AWEurope. The trick he said, is bringing them together and that is what the new initiative from the IPA is working towards. 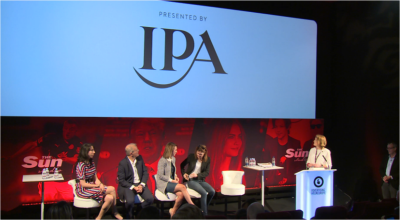 The initiative was kicked off at AWEurope 2016 with a punchy panel debate. This has been supported by a collection of opinion pieces from experts and influencers across this varied industry hosted in the IPA’s new Emerging Futures Medium hub. The AWEurope panel included Hannah Blake from MEC Global, Rose Lewis of Collider, David Patterson – the well-renowned agency-lead as well as start-up investor, and our very own Christina as CMO at Openr. The full write up from the panel debate, along with expert advice from other industry influencers, can now be found in our PDF guide Start-up Tech: The Future of Marketing Innovation & How to Do it Right.